My third bullwhip by Paul Nolan, black roohide, 12 plt downto 6plt. 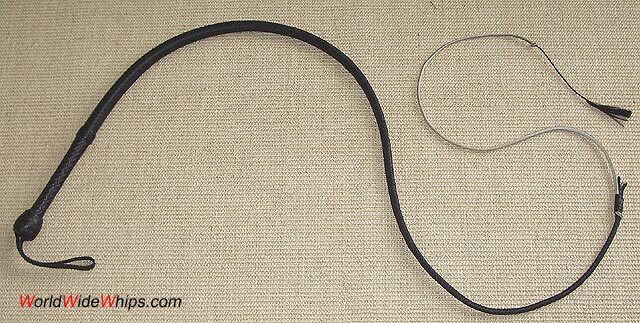 Like the other two (s. Indiana Jones Bullwhip 6ft by Paul Nolan and Indiana Jones bullwhip (10ft) by Paul Nolan) this whip has a so called hourglass handle which provides a very comfortable grip. The third pic shows the handles in comparison.